Sadly, we lost John Abercrombie last week. A guitarist whose strikingly unique style, tone, and compositional approach made his music instantly recognizable, Abercrombie was born in Port Chester and most recently lived in Putnam County. Via his work for the ECM label in the 1970s he rose to prominence in the jazz world during the heyday of fusion, but his approach—rooted in bebop notation, yet more impressionistic and suggestive of painterly emotionalism rather than athletic technique—set him far apart from the soulless showoffs sometimes identified with the era. Abercrombie’s ties to the mid-Hudson Valley run deep, stretching back to the height of Woodstock’s Creative Music Studio, and his frequent returns to the Rosendale Cafe were always epic events. Prior to making his acclaimed 1974 ECM debut as a leader, Timeless (with local legend Jack DeJohnette on drums), he played with saxophonist Gato Barbieri, arranger Gil Evans, and jazz rock pioneers Dreams, who also featured drummer Billy Cobham, another frequent collaborator. In 1975, he formed Gateway with Jack DeJohnette and another area CMS veteran, bassist Dave Holland. During the 1980s, 1990s, and early 2000s he experimented with guitar synthesizers, led his own bands, and worked with such figures as Paul Bley, Ralph Towner, Joe Lovano, and John Scofield. 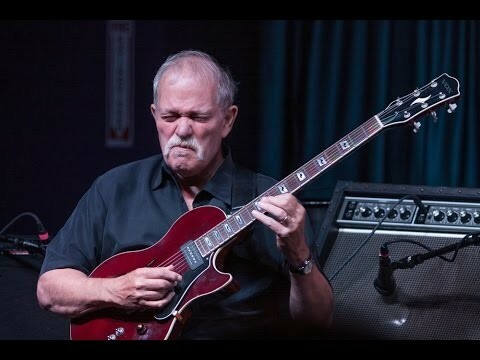 In January, the John Abercrombie Quartet released the excellent Up and Coming, whose title, a seemingly sarcastic career commentary on the lot of a jazzman, now perhaps takes on a darkly ironic hue, given the leader’s sudden passing of heart failure on August 22. Rise on, John Abercrombie. And thanks.